A PREVIEWS Exclusive! Star Wars fans remember Luke Skywalker's bold entry into the palace of Jabba the Hutt on his home planet of Tatooine in Return of the Jedi in his desperate mission to save his friends from the crime lord's evil clutches. This POP! 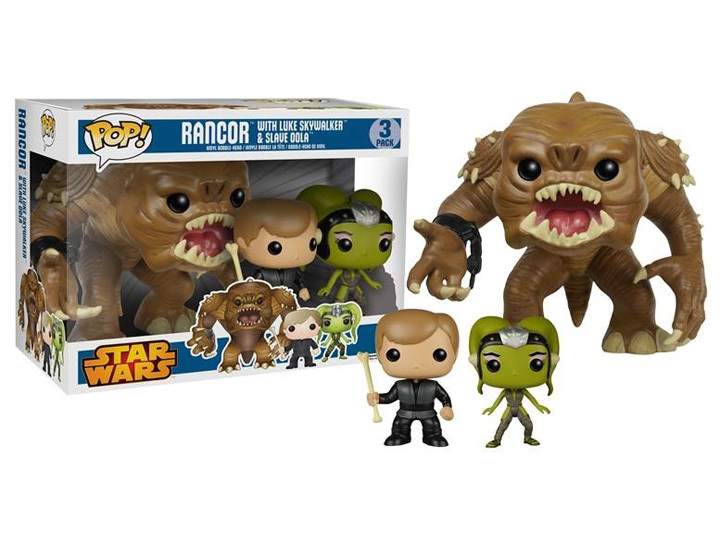 Vinyl Figure 3-pack recreates Jedi Knight Luke Skywalker and Slave Oola in the 3 3/4" tall scale as well as a 6" tall Rancor so fans can recreate the scene in Jabba's dungeons. Window box packaging.